Our cat Squeaky is a minor celebrity in the village as the cat who travelled here all the way from India. Squeaky has adapted to her new home but it did take some time. A neighbour calls her Squeakić so she now has a local name. I have this feeling I'm not in Bangalore anymore. Back in her natural habitat, the streets of Bangalore, Squeaky was an avid hunter. She would turn her nose up at the Whiskas I would lay out for her and go outside to the terrace, climb onto the roof, and catch a squirrel instead. She would also hunt mice and rats on a daily basis. Then there were the five small rabbits she brought home (not all at the same time) – and my special birthday surprise: a bat under the bed. Unfortunately, there doesn’t seem to be much wildlife in the village. Or maybe there are enough stray cats to make sure there are no rodents around. So Squeaky has been relegated to chasing flies and other insects, and is very good at locating scorpion intruders in the middle of the night. I've also managed to find a brand of cat food she likes. But too bad there's no 'rat-flavoured' pet food. I think she'd prefer that. Yay! A sunny spot! Time for a nap! In Bangalore Squeaky would spend most of the night wandering around the neighbourhood and catch up on sleep during the long, hot days. 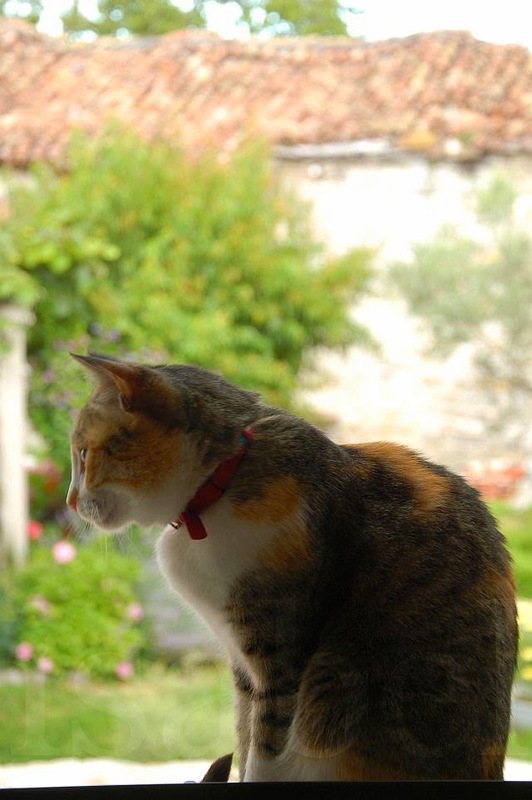 Here she is a lot less nocturnal and spends the days looking for sunny spots to doze in or observing the goings-on from the veranda. 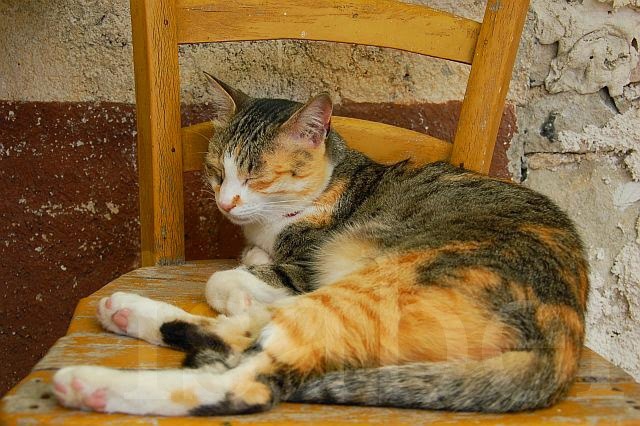 She does go off on regular explorations around the village but has been sticking close to home ever since she got into a fight with a brawny tom cat. Squeakić thinks she’s a Bengal tiger you see, and not a little street cat from New Thippasandra. I guess she thought she’d show this tom (who we’ve nicknamed ‘the thug’) who’s the boss... After watching her growl ferociously and puff up her tail for a while, the unimpressed tom pounced. She bolted across the square – but the tom easily caught up to her. The two felines somersaulted in a flurry of flying fur and hysterical shrieking before we managed to chase the thug off. Squeaky ran inside to lick her wounds, and has been keeping a low profile ever since. Since the renovation work on the ground floor is not complete, we’ve made a cat ladder for kitty so she can descend into the courtyard. 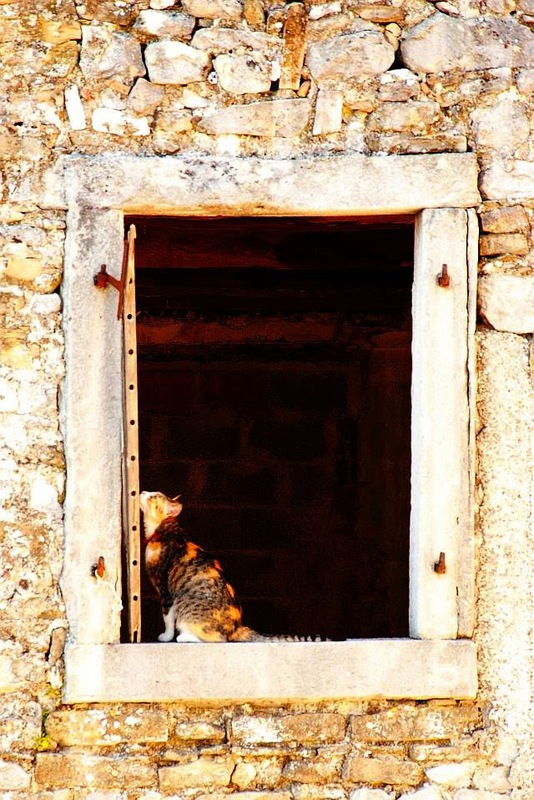 However, the curious village strays have also discovered the ladder leading to our window on the upper floor. One night we woke to a commotion coming from the hallway. 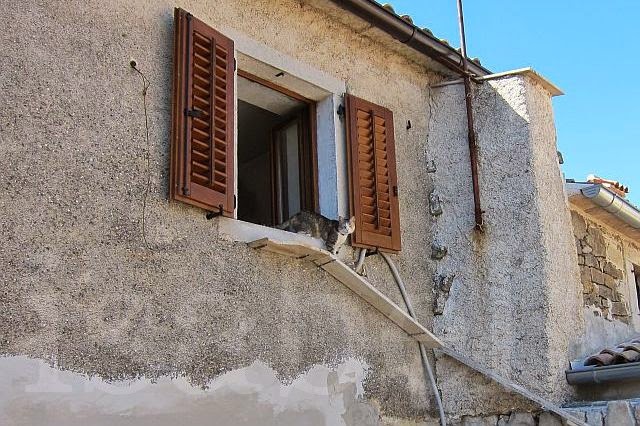 I was horrified to see a cat stuck in the window and desperately trying to free itself. (Our windows tilt inwards vertically, leaving a gap at the top so that we can let in air without having the window wide open.) It was the thug! That brawny tom cat (who clearly is not so brainy) thought he’d try to jump through the gap but got his head lodged between the window and the frame. With some difficulty, he was freed and survived the ordeal. The (badly scratched up) window now stays firmly closed at night and when we're not home! Check out my cat ladder! 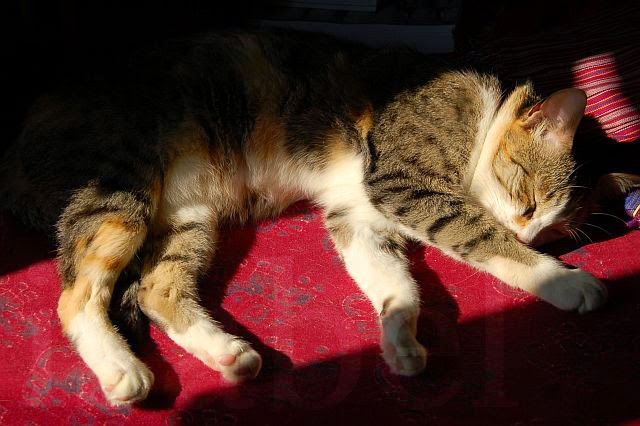 Squeaky the South Indian cat has also had to adapt to a different climate. She spent the winter curled up next to the radiator, but she’s been enjoying the hot summer days which remind her of her native Bangalore. I miss those fat rats -- but not the firecrackers during Diwali! No rats, but good food, a cat ladder, peace and quiet. Life is good for the South Indian cat! Reminds me of our neighbor's cat Oscar. He visits us when he wants some affection or a nice nap. His owner Aaron says that Oscar refuses Whiskas (not unlike Squeaky), preferring instead a diet of field mice, small snakes, or any other unwatchful critters. Oscar and Squeaky should get together. They have a few things in common. I guess cats prefer to catch their own food if they can! Just discovering your lovely blog via Vanessa's Traveling Cats :) Squeaky not only looks like our lone female, Lucy, but shares her love of the hunt, and her (not always wise) bravado a round the males. Wonderful storytelling and beautiful photography, Isabel! Hi Monique! Nice to hear Squeaky has a twin! Many thanks for visiting and your kind words. Come again! Hi! I also saw Vanessa's post about Squeaky and was immediately intrigued. I just read your post about traveling with a cat internationally. I've traveled with my cats domestically due to several moves and it's horrible and stressful. I can't imagine how hard it was doing that for 22+ hours. These pictures are gorgeous and so is Squeaky! What a lucky kitty! Yeah travelling with cats is definitely not fun! Squeaky loves exploring -- but not travelling! Thanks so much! Hello to your kitties too! Hi Christina, Thanks for visiting! 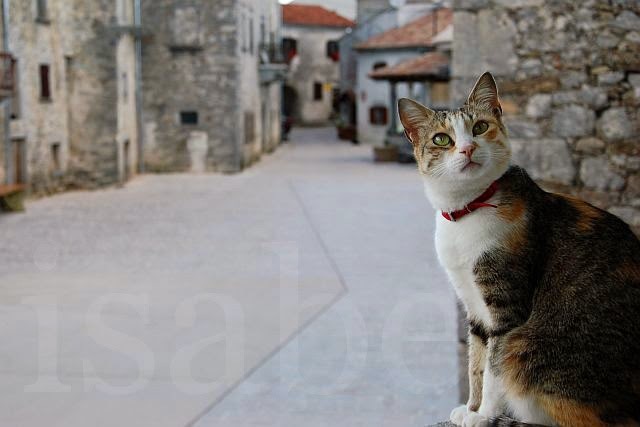 All the best for your move - you read about our experience taking Squeaky from India to Croatia at the link above. I bet they don't miss the snow! The South Indian actually encountered snow for the first time this past winter. My cat Chinle (we name ours for where they find us) is also a mighty hunter - voles are his specialty, but there's not many here in Olathe CO so he brings in birds. Still alive and I open the door so they can fly out. We are thinking about moving to Croatia but was wondering how to bring Chinle with us. Could you write about the adventure you had importing Squeaky? Chinle sounds like quite the hunter! I did write about importing Squeaky to Croatia -- see the first link in the first sentence of this article. I'm glad to hear you're thinking of moving to Croatia!